You have purchased your first 3D Anet A8 printer. It was a little scary at first, I know. You mounted it, and then you made your first impressions. You are satisfied with your first results. You are happy, but you want to go further. Improve your machine. Make it perfect, at least in your eyes. Well, I myself followed the same process. 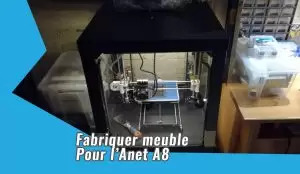 I will present you in this article several modifications to implement on your Anet A8. Some are only aesthetic, others are there to improve the stability of the printer, others the electrical security. So I haven’t put all these changes in place yet:), but I intend to do so. Just before I talk about the improvements, I would like to talk briefly about spare parts. Unfortunately, a 3D printer is a set of mechanical parts, there are frictions and the parts in tension can end up breaking. Like most 3D A8 printers, they require regular maintenance. So I bought at the same time as the printer some spare parts like belts, extruder tubes and feeders, fans. I think that’s a good start. So as not to get stuck if you close the outlet nozzle for example (which I did after only 3 impressions). The Anet A8 enhancements that can be printed. The good thing about a 3D printer is that you can use it to improve. 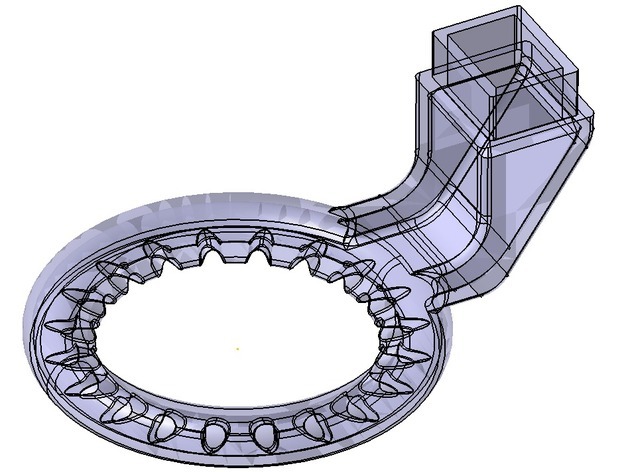 If you feel a little bit CAD, you can create your own improvements, you can design parts yourself. I found all the printer improvements on thingiverse, a big thank you to all the creators who share their improvements for free. It’s one of the first things for me to print. The basic fan, although functional, made a whistling sound at home. And the airflow is not the most optimised. I chose the circular model. Which is one of the most used on the net. If you’re capturing or timelapseing your impressions, maybe you should opt for the semi-circular model that lessens visual obstruction. Pressing the screw to replace the filament is frankly not a pleasure on the A8. Especially at the beginning when you’re not used to it and you have a hard time putting on your filament. The extruder motor must be disengaged to allow the filament to pass through, so a screw must be pressed. And it’s very painful. Your fingers will remember that. Fortunately, there is a solution. 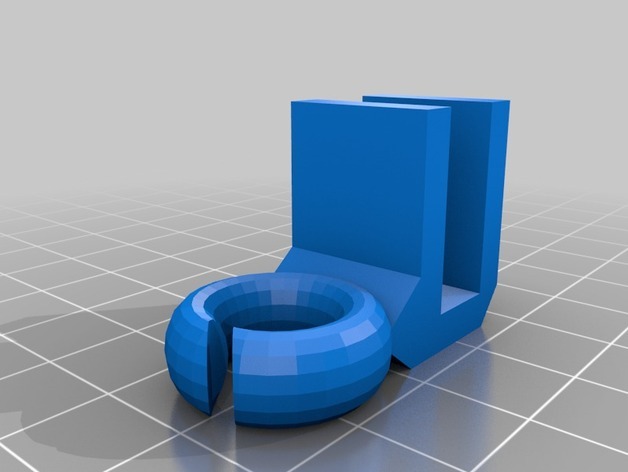 The Extruder button is one of the simplest and fastest prints you can make. Printing is short. Then try it and adopt it. Be careful with printing with a 100% fill rate. We are all aware that the A8’s acrylic frame is not the strongest or most stable. There are few changes you can make to improve stability and reduce vibration with printed parts. The basic reel holder sold is not very practical. I recommend this model that fits on top of your printer. This reduces the tension on the filament when it is pulled by the motor and makes it easier to come in. Here’s an improvement that I’m not sure I can implement. From what I’ve seen on some realizations on the net, the final rendering is very aesthetic. But I’ve already spent a lot of time putting away my cables properly so I’m not sure I want to print all these links just to look good. 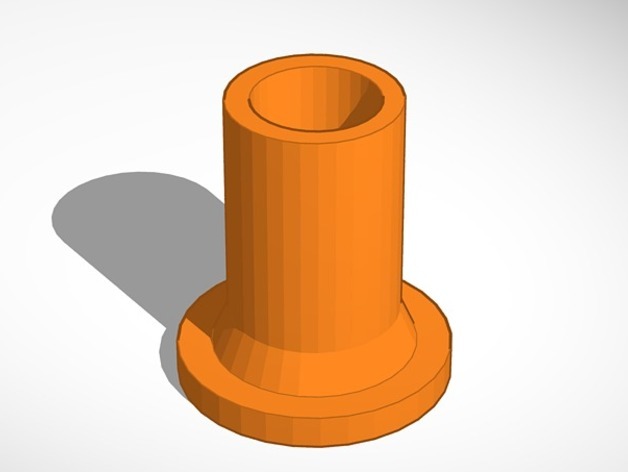 Printing a filament guide should also be one of the first things you should print. Indeed, it costs almost nothing in filament. For the little story, that’s the first thing I printed, and I used the plastic that came with the printer (a few meters of white PLA). 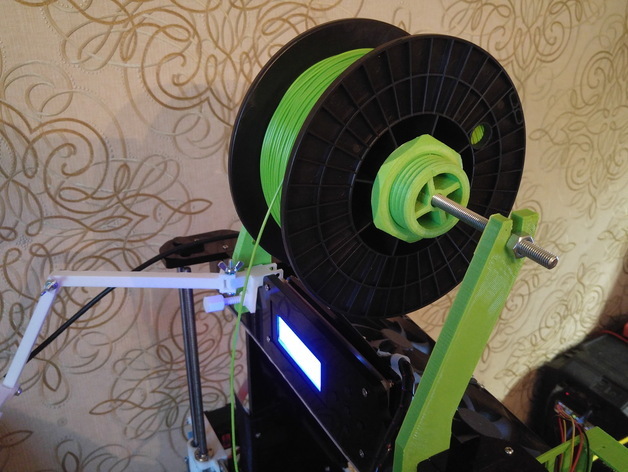 Even if it won’t have a visible effect on the quality of your prints, it will still reduce friction and tension on the cable and it’s still less work for the extruder motor. Personally I use two guides for my filaments, a first one which is clipped on the left of the LCD screen, and another one which is screwed with the two left screws of the extruder carriage. I therefore recommend that you print them both. Once the printer is mounted it becomes difficult to change the belt tension (especially if your printer is in a box). Then you can print these belt tensioners. They will allow you to adjust as you wish, without twisting the tension of your printer’s belts in all directions. While the updates you can print with Anet A8 provide a good basis for improving your 3D printer, there are parts you need to buy to improve its performance. As you know, if you want to avoid distortion during 3D printing, especially if you print ABS, which is a more difficult plastic than PLA. For ABS it is necessary to avoid temperature variations as much as possible. The best way to do this is to create a closed case for your 3D printer, just like on high-end models. The temperature will remain stable, the ABS will cool slowly and you will not have any more waves on your prints. I’m not at this level of improvement yet… but know that there are fiberglass reinforced belts. So is it worth it to get past the mark for a printer like the Anet A8? I don’t know about that. Maybe I’ll test it. Higher-end extruder models are available. They are more accurate, and can print faster. There can be a huge difference between these high-precision extruders and the basic one. The only thing to consider is that such an extruder costs almost half the price of the printer. Anyway, is it worth it? I don’t know about that. If you are interested know that the models e3D V6 hotend and extruder Titan. Even though I haven’t had any power problems where my motherboard would have burned, some users on the net have had this misfortune. As a preventive measure, I installed MOSFETs on my Anet A8 to secure the electronics. You can read my tutorial here to install MOSFETs on your printer. By adding a MOSFET, the motherboard no longer managed the power supply of the heating bed and extruder. Since it’s about heating, the current that passes through the motherboard can be quite high, even too high and it slams. Hence the interest of the MOSFET (Metal Oxide Semiconductor Field Effect Transistor), it will manage the power supply, the motherboard will only be there to give information (you heat, you do not heat). There is nothing difficult in this installation, it is inexpensive, and there is also talk of safety. So why don’t we need it? In addition, once your printer with MOSFET is installed, the temperature rise of the extruder and the heating bed should be faster. The bearings on the Anet A8 are quite noisy. You can change them to Igus DryLin bearings, which are much quieter. I haven’t tested it yet. We see a lot of 3D printer users printing on glass. It is also possible to do this on the Anet A8. 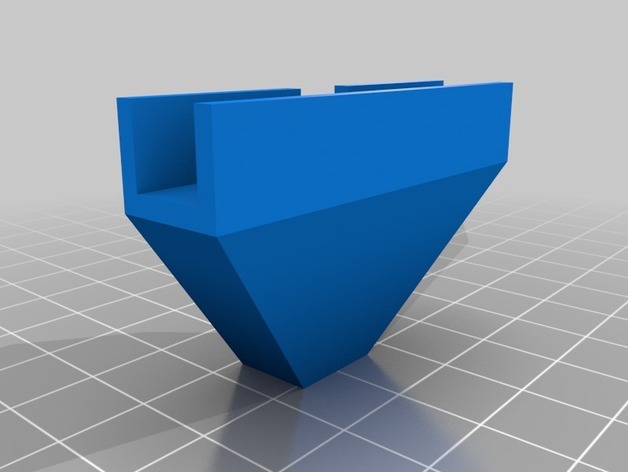 This will significantly improve the printing quality of the first layer, which is smoother. The glass bed is much easier to maintain. It can be cleaned with acetone after a few impressions. The masking tape is inexpensive, but you still have to change it often while the glass is there to last. In the end, glass is a more cost-effective option. The only drawback of printing on glass as opposed to masking tape is that the heating bed takes longer to heat up. You can have any drink you want. Have it cut out in your local DIY store. Or buy it online on Amazon for example with this model. It is important to know that when printing with glass, it may be necessary to use lacquer to properly adhere your prints. If there’s one thing I find on the printer to be tedious, it’s the adjustment and height adjustment of the heated bed. It takes a bit of time and I’m never sure if I’m going to be at the top in terms of tuning. The paper sheet test is not the most accurate. It is still felt. We can’t reproduce the same “feeling of scratching” if I may say on all four corners. I therefore think that the autolevel of the A8 anet will be the next update that I will implement. I already bought the sensor. The principle of autolevel is simple. First of all, the limit switch of the Z axis must be removed and the sensor installed at the extruder carriage, which will send the information from the Z axis level to the motherboard. Every time you start printing, the printer will make its own Home All. The four corners of the heating plate will be tested in turn. And the Z axes will adjust automatically. It is not only the mechanical parts that can be updated, you can also play on the software part. Indeed it can be interesting to change firmware to use one that offers more options. SkyNet 3D, for example, is compatible with the Anet A8 and allows you to make autolevel with this printer.